MOSCOW, November 29. /TASS/. Russia’s High Commissioner for Human Rights Tatyana Moskalkova has requested that Acting Director of the Federal Bureau of Prisons Hugh Hurwitz mitigate the harsh conditions of confinement for Russian citizen Maria Butina, now being held in a solitary confinement cell outside Washington. The letter by the Russian human rights official to the US federal prisons director was uploaded to her official website on Thursday. 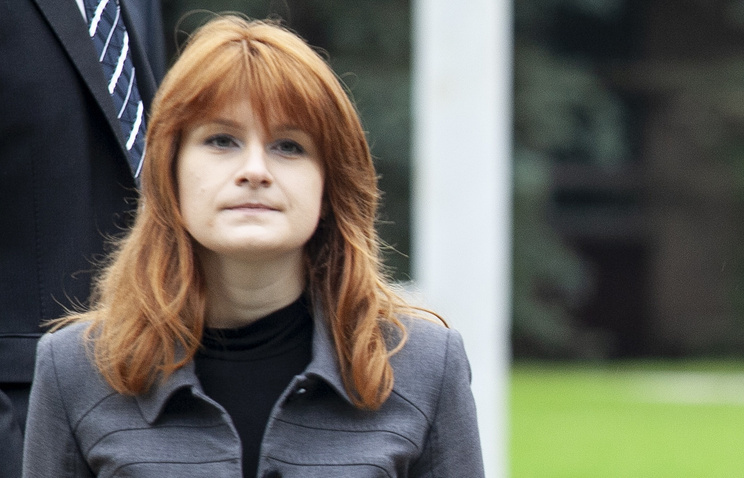 She pointed out that at the present time, incarceration conditions have been tightened, with Butina having been moved to a solitary confinement cell. She noted that the harsh measures being used on her "has seriously affected her health condition". With this in view, she requests, "to check reasonableness, legitimacy and fairness of employing such harsh measures against Butina and take measures to maximally humanize the confinement conditions for the Russian national and provide access to health services for her". In her letter, Moskalkova emphasized that the person in question was a young woman "jailed for the first time" and "not accused of violent crimes". She also pointed out that she was always attentive to appeals from US nationals in Russian detention centers and expressed hope for "an objective approach and positive decision" on Butina. Maria Butina, who studied at American University in Washington, had been arrested on July 15 ahead of the Helsinki summit between Russian President Vladimir Putin and his US counterpart Donald Trump. The Russian gun rights activist is facing charges of conspiracy to conduct activities in the interests of a foreign state. Investigators claim that she was engaged in these activities without registering as a foreign agent at the US Department of Justice. During a July 21 phone conversation with US Secretary of State Michael Pompeo, Russian Foreign Minister Sergei Lavrov demanded that Butina be speedily released, having branded the charges against her as fabricated. The Russian Embassy in the United States on Tuesday sent a note of protest to the US Department of State after a US jail had again placed Russian activist Maria Butina in solitary confinement, the embassy said in a Facebook post. "Recently, the Russian citizen was put under administrative segregation. The prison administration refuses to divulge the reasons behind the discriminatory treatment of Maria. A 22-hour per day isolation has already caused her health problems. Maria is now suffering from claustrophobia more often," the diplomats said. The embassy said it "voiced a decisive protest against the toughening [of] the confinement regime of the Russian citizen under far-fetched politically motivated reasons." "We demand that she quickly be released," it added.